Show all your guests the feeling you get while on the water. 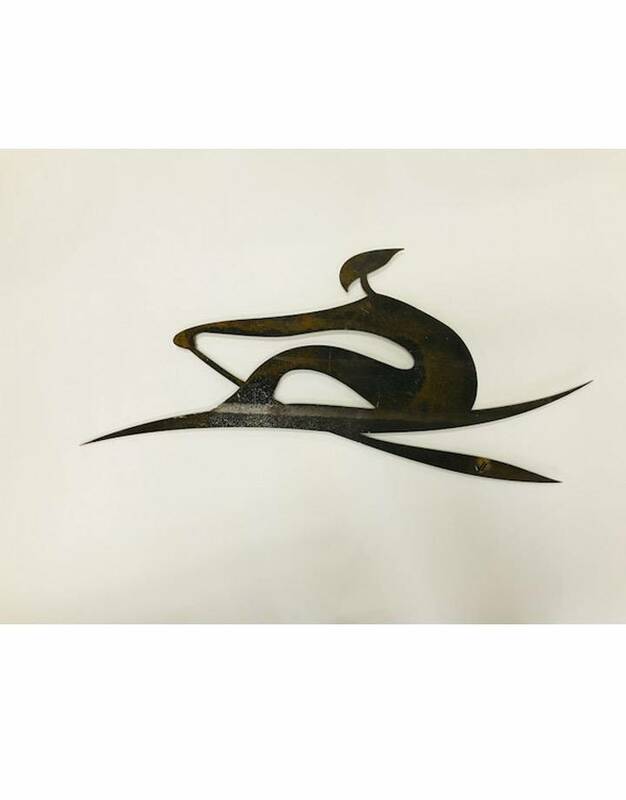 This beautiful piece made in Germany by a fellow rower, embodies the fluid motion that only oarsmen know. Inspired by Chinese postage stamp art. A $20 shipping surcharge will be added to your item, all sculptures will ship via UPS ground. We’d already bought each other out Christmas gifts, but couldn’t resist ordering this as well whence was advertised in one ofJL’s emails. We’ve just hung it up in our living room and it looks great!